Somewhat unexpectedly (but foreseeable), I haven't had cell service the past few days. 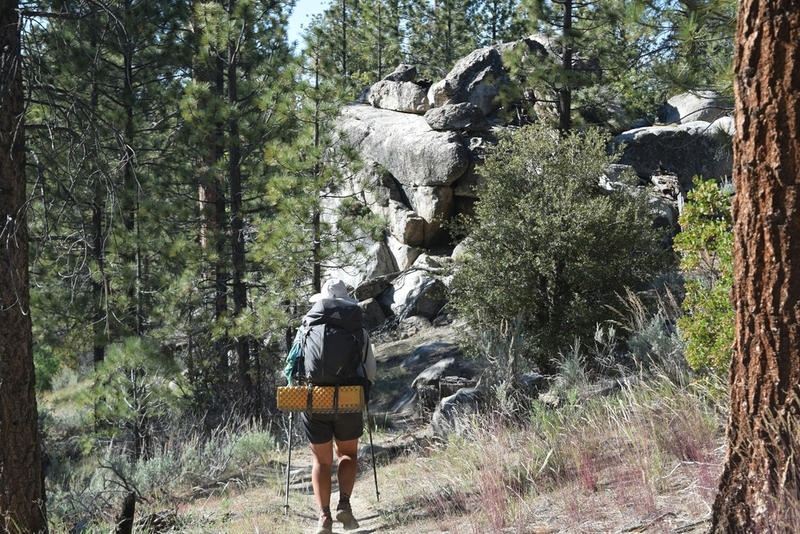 North of Tehachapi I've been hiking through the desert mountain wilderness near the Sequoia National Forest. There's nothing for miles and miles. And the weather has been hot. Currently I'm writing from Mile 622 at about 4pm, where I've stumbled upon some shade, and coincidently, cell service. I'll do another 8 miles before bed to finish the day at Mile 630. Natural water sources have been hard to come by since Tehachapi. The "streams" has been trickling mountain runoff, flowing at a few hundred mL per minute. Over the last 60 miles, water has been spaced out every 15-18 miles. When a natural source wasn't available, volunteers have left water caches at the nearest dirt road. What I've been walking through has been rumored to be the last weed-out stretch for thru-hikers. The magic number historically has been Mile 700, the "knock on wood, you're going to make it to Canada" point.